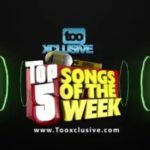 Week 29 for the TooXclusive top 5 music countdown (Nigerian songs). 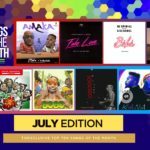 Iconic musician, 2Baba leads this week’s music countdown with his sensational new single, ‘Amaka‘ which samples the vocal flavour of DMW starlet, Peruzzi. 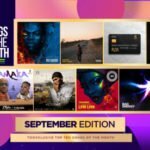 Duncan Mighty, the Port Harcourt first son is presently enjoying the dominating power of his comeback, and his Wizkid-assisted track ‘Fake Love‘ follows closely at number 2. 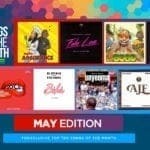 Naira Marley also shares in the top songs accolade for his star-studded collabo on the remix for ‘Issa Goal‘, likewise disc jockeys Spinall and Neptune in their shoot-shot link up with the Boy Kizz on respective songs ‘Baba‘ and ‘Wait‘. Pree the official music countdown video below. 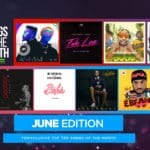 “2Baba x Peruzzi “Amaka” | DJ Neptune x Kizz Daniel “Wait” | Top 5 Songs of the Week #29″, 5 out of 5 based on 1 ratings.